Fair warning: this review comes after reading this book for six hours non-stop. It was that good! “The Castaway Carnival: fun, mysterious, dangerous. Trapped,Olive must slowly attempt to win each of her new comrades’ hearts as Will—their mysterious, stoically quiet, and handsome leader—steals hers. The first thing I want to mention is the gorgeous cover. I know you can’t judge a book by its cover, but with this story you can – it’s as mesmerizing as the tale within. Amid a bullying incident, Olive lands on the island. The world building was fantastic. I felt like I was right there with the characters, smelling the ocean water and walking the forest. I also know how to open a coconut now, which is a huge bonus. The characters were wonderful, likeable, and endearing! And Will…sigh. I tried to jot notes while reading, and I literally wrote “swoon.” It was hard not to like Will and his strong but compassionate approach to Olive and the rest of the group. He wore the leader title well, despite his own mysterious past, and was everything you’d want in a male protagonist. Without going into too much detail, the island is at war when Olive gets there but the conflict is magnified soon after. I enjoyed the buildup to the climax. I had an inkling of the plot twist, but was surprised to see how similar it was to Olive’s initial situation. The magnitude was both shocking and heart-wrenching, but a message that resonated with me – people aren’t bound to who they were. People can change. The character growth in this story, with all characters, was great! Jessika made sure to show not just Olive and Will’s character development, but worked in the side characters' as well. I appreciated getting to see the resolution for Bug, Charlie, Jude, and Lewis, as well as Duke and his group. The Castaways was one of those stories that sticks with you. If you haven’t read it, you should pick it up now. It’s well worth the read! Hi, my lovelies! 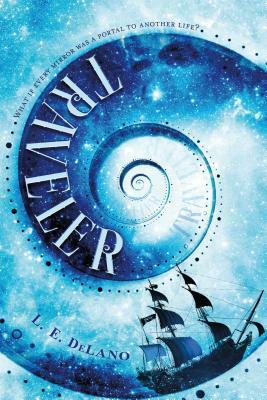 I wanted to kick start this book review blog with my most recent obsession – Traveler by L.E. DeLano. Okay. Let’s take a minute and process the epicness that is the summary. Could this book sound any more amazing? I think not. Luckily, it lives up to its expectations. This is coming from a person who is all contemporary romance and nothing in between. If you’re looking for a fun and exciting read, I highly recommend this book! TRAVELER starts with the main protagonist (Jessa) and her bestie (Ben.) Right away, you can tell Ben has a thing for Jessa. The boy is smitten, but Jessa has no interest in dating him. Sad day for Ben. Who does interest her, is a stranger from her dreams – Finn – who shows up at her high school with dark hair, green eyes, and an air of mystery around him. Finn creeps around for a bit, but not in a creeper kind of way, and eventually Jessa finds out Finn is a traveler and so is she. Furthermore, he’s from an alternate reality. Finn is not real in Jessa’s universe, but Jessa was real in his. That Jessa is dead now, and that’s why Finn is here. Sounds confusing, but it’s not. Travelers are that awesome. ​Over the course of the story, Finn teaches Jessa how to travel to different realities. Reflective surfaces are the gateway to another life, and every time Jessa enters another reality a different version of herself is replaced in the current one. In other words: They’re temporarily swapping lives until Jessa decides to go back to her own life. Did I mention there’s also a pirate version of Finn who is also AMAZING? Because there’s definitely a pirate version and he’s my fave! So, what’s the problem? If I could swap alternate realities, I’d be a happy camper. The issue: Jessa keeps dying in other realities. Finn had a direct hand in a few, and he’s trying to stop this Jessa from being killed as well. That proves difficult when the pair of them, along with their helpful mentors, realize there’s another party involved in the murders. Finn may be doing the killing, but someone else is putting things in motion to cause it. ​From there, the story twists and turns with surprises at every corner. Ben, Jessa’s trusty best friend, also gets pulled in for the ride and chaos ensues. It all culminates in one shocking revelation and an ending I can’t even touch on. I’m still shook. There’s a tear on my face and you can’t even see it. Want to know the best part? THERE’S A SEQUEL!!!! At first I was afraid. I was petrified. Wondering how I could ever live without these characters by my side. Then, I realized Dreamer existed. Now, I can’t wait to pick up the second book and dive in. Oh, did I mention pirate Finn will probably be there too? I ship CaptinJessa so hard it's ridiculous. So, what does all this mean?! GO READ THE BOOK!!!! I put that in screamy caps because I mean it. 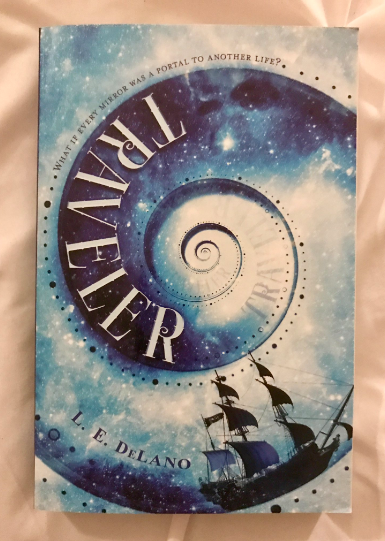 I read TRAVELER in two days and I’m not even sorry. You won't be either. I read books. Let me tell you about them!